I'm writing this post in the middle of a 75°F day, but last week it was definitely fall weather. Fall means apples, and apples mean applejack, so I grabbed a few recipes from the PDT book. 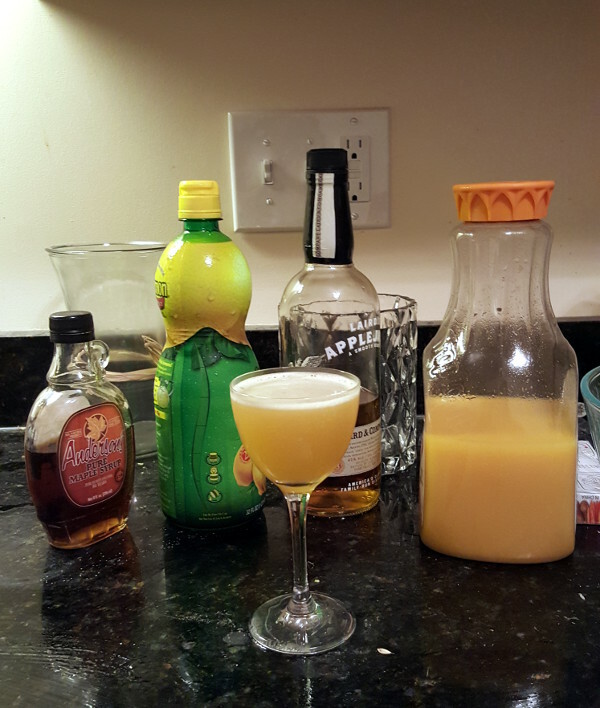 My favorite of the night was a variant on the Applejack Rabbit, which is a drink that combines apple brandy, citrus, and maple syrup. 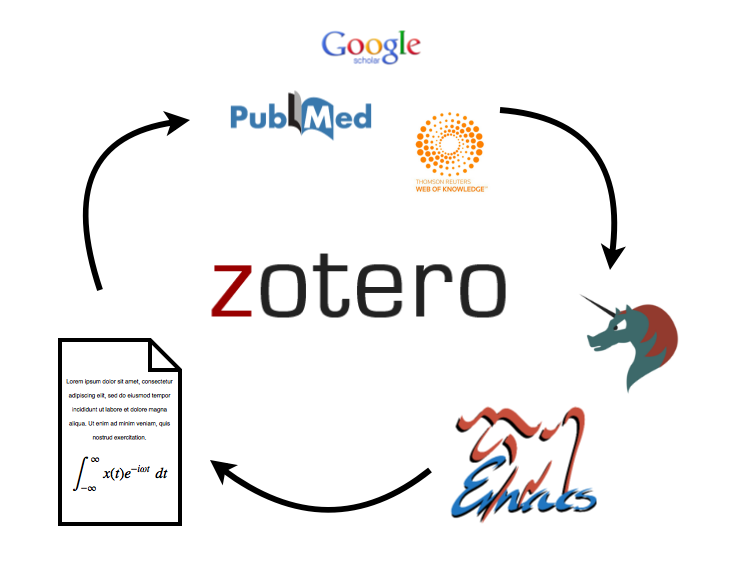 Any research project is going to involve a literature search: reading through a bunch of papers that might be relevant to your topic in order to get a sense of what the field already knows. Now, maybe there's some magic technique for picking out the information that matters, passing over the rest, and writing out a single, coherent story in one pass through all the papers you can find. If that technique exists, I have no idea what it is. So when every paper brings up ten new questions and twenty papers to start answering them, I need a system to keep my notes organized. I need notes that let me jump back and forth between papers without losing my place, draw links between papers, and store lists of citations to come back to. Here's how I do it. Summer won't be here for much longer, which makes it a great time for cucumber-based cocktails. 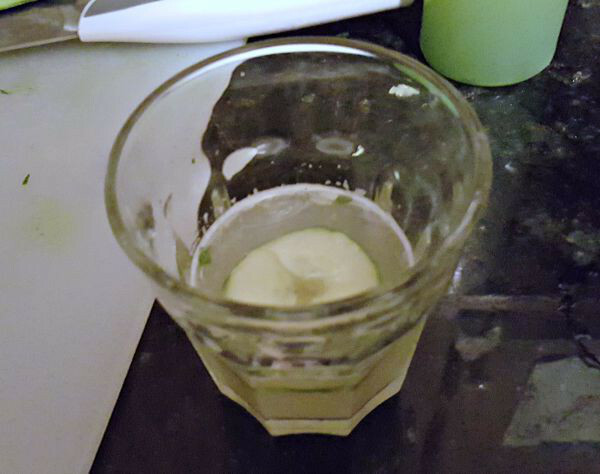 I decided to play around with some, and this gimlet was the night's winner. Where does the EEG signal come from? Brain science fact from my thesis research: the EEG signal doesn't actually come from your neurons firing! Because of the way action potentials are structured, their effects on the electric field cancel themselves out by the time they make it outside of your head. The EEG actually comes from your dendrites, which are the tree-like parts of the neuron that collect signals from other neurons. But even then, only some neurons have the right shape for their dendrites to contribute to the EEG.